Cats love to drink running water. 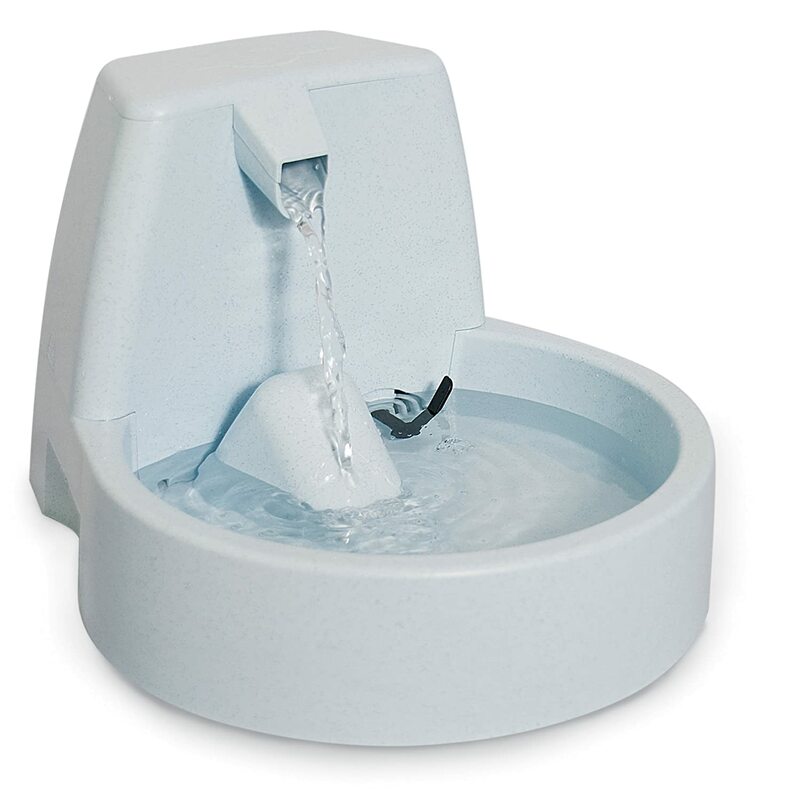 Several pet product manufacturers understand that cats prefer drinking running water, so they make water fountains just for our cats and other pets. 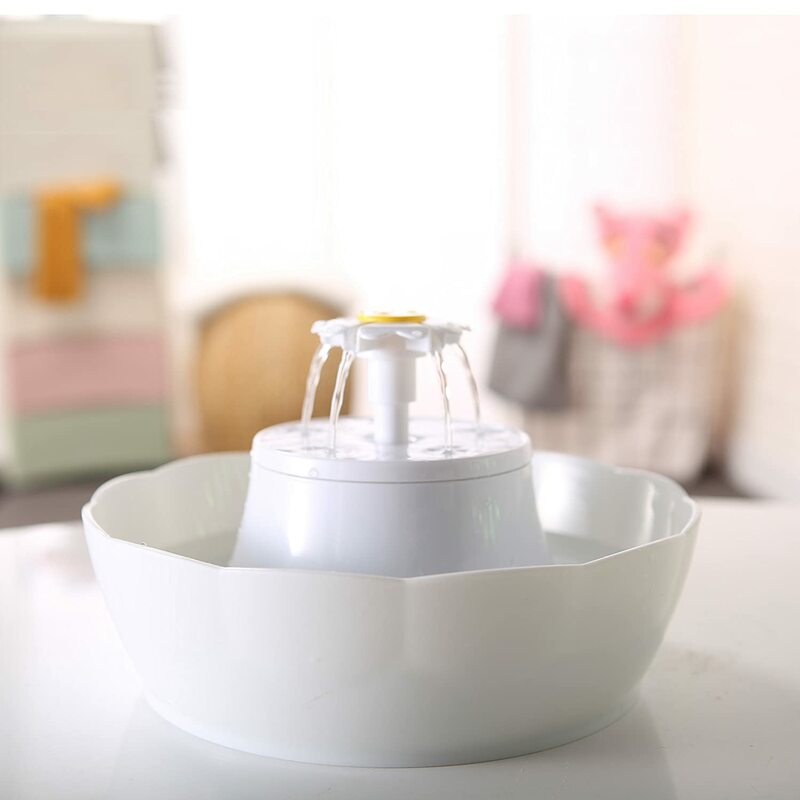 Giving Kitty his or her own fountain is often a good idea not only for them but for you, too: It keeps them from sitting at the edge of the bathroom sink waiting – or meowing – for you to come turn it on for them. And since our cats seldom turn the faucets off themselves, it also saves you from remembering to have to go back and turn it off again. 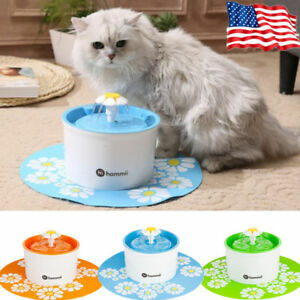 For a few good things to know before buying a cat or pet water fountain, please scroll down beneath the fountains for sale. While it seems like an obvious thing to point out, our cats need to drink an adequate amount of water or they run the risk of dehydration and other, often serious, health issues. 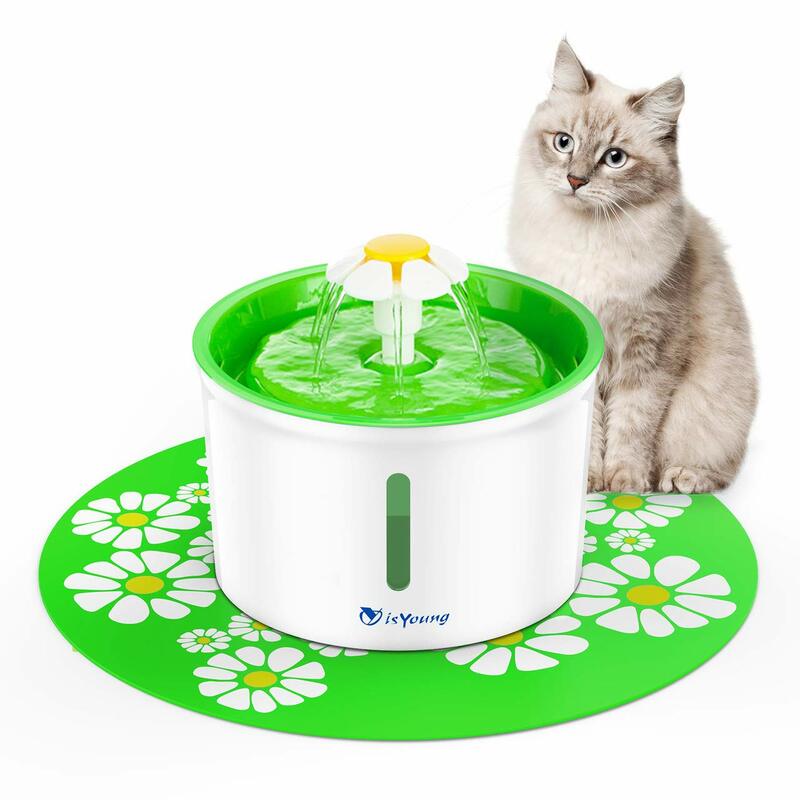 The thing is, many veterinarians and cat health experts caution us that cats often don’t drink enough water unless they’re encouraged to do so, such as by offering them a moving water source with clean water. 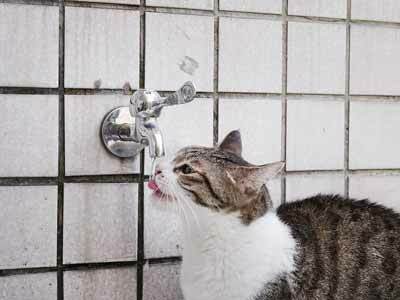 Why Don’t Some Cats Drink Enough Water? Our pet cats usually have diets dominated by manufactured foods which don’t contain the water levels of wild prey. 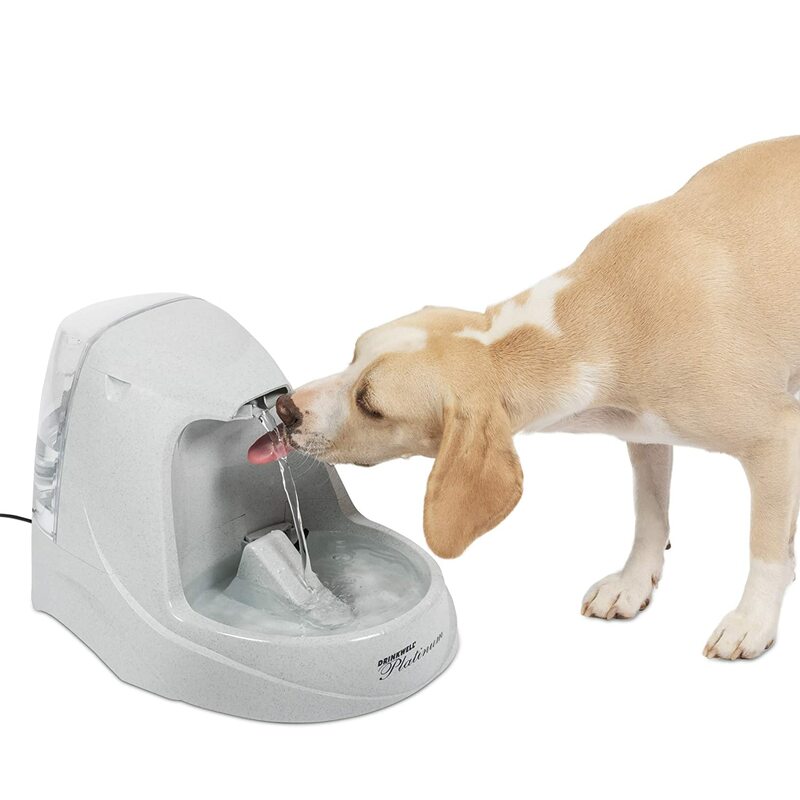 Without some form of stimulation to drink they can become dehydrated for long periods of time which can lead to serious health issues including stress on the kidneys and urinary tract infections. 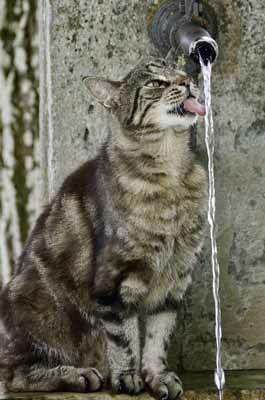 Providing our cats with a source of water they are encouraged to drink, such as clean, moving water from a fountain, is often a significant boost to our cats’ health and wellbeing. 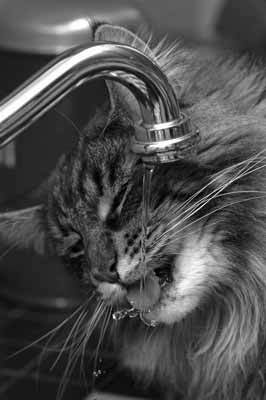 Many cats need to be stimulated to drink adequate amounts of water. Moving water, from a sink our fountain, often does the trick. 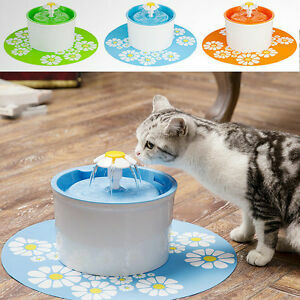 Cat water fountains come with a variety of features. 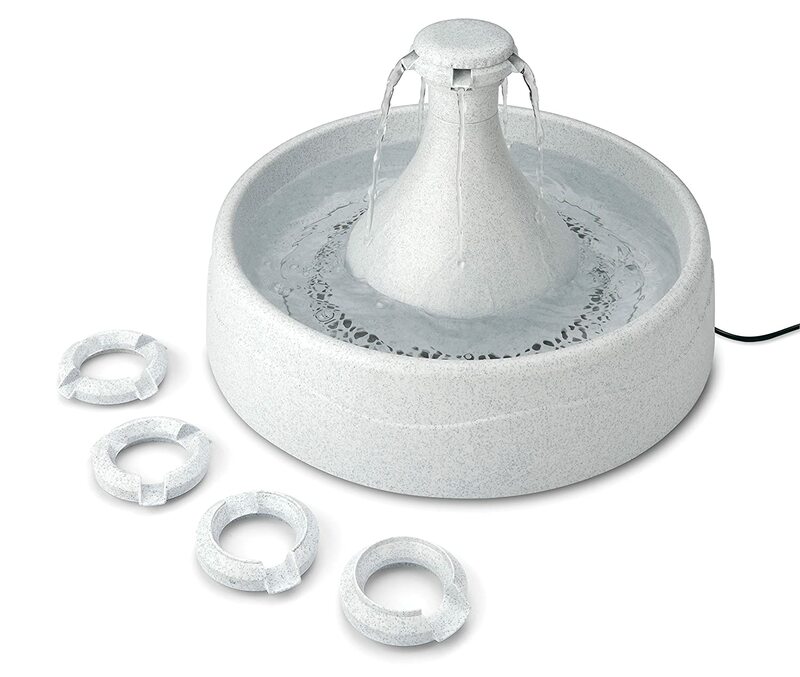 They usually have their own water reservoir so that you can fill it up and not have to hook the fountain to a water supply. They often offer different drinking heights to accommodate cats and kittens of various sizes. 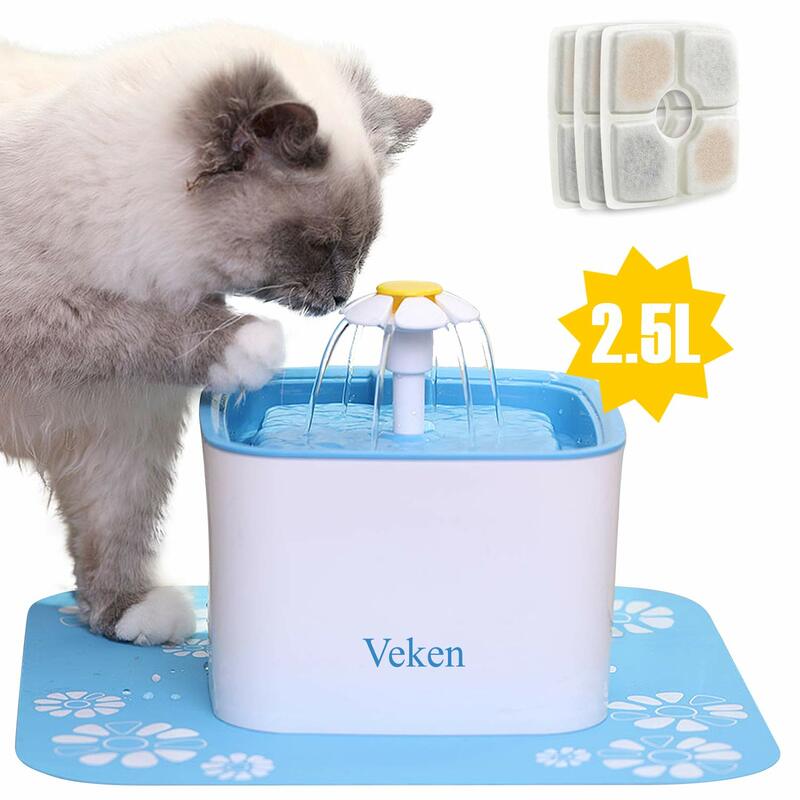 Many, if not most, also have internal filters to remove impurities and mineral deposits from the water: Cats are very sensitive to taste and smell, and filtered water can be a big encouragement for some cats to drink. Last but not least, most of them have small water pumps to keep the water moving. 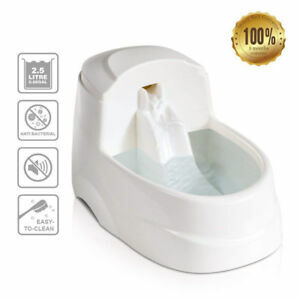 Not all cat or pet water fountains are the same, however, and below are a few good things to know before buying a cat water fountain on the Web or anywhere else. Is it new or used? 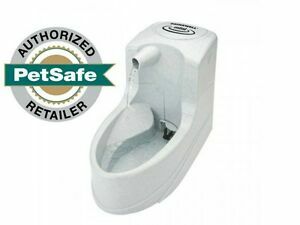 Most of the cat water fountains we’ve seen on Amazon and eBay have been new, but we’ve also seen a few used ones. That might be ok with you, just don’t assume that you’re going to receive a new one when it’s actually been used. Is it a water fountain or a water dispenser? What’s the difference? 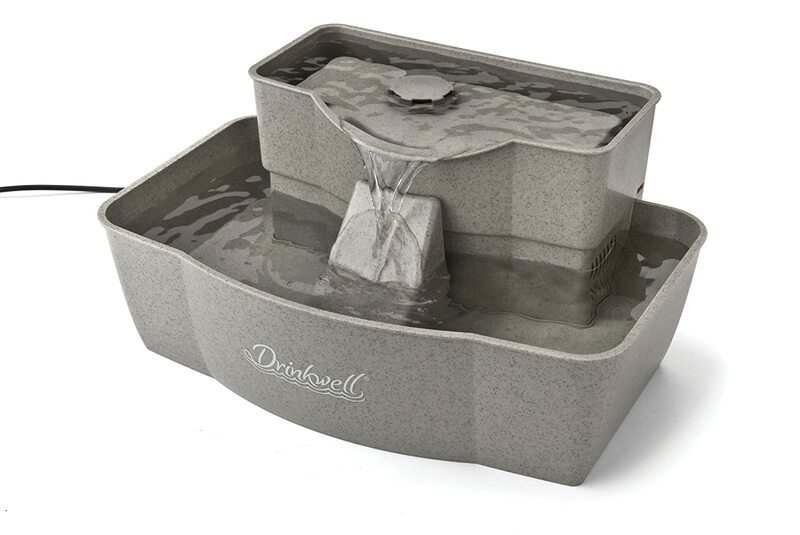 Typically, water fountains have a water reservoir and a small pump to circulate the water so that the water they offer to drink is gently moving or running. 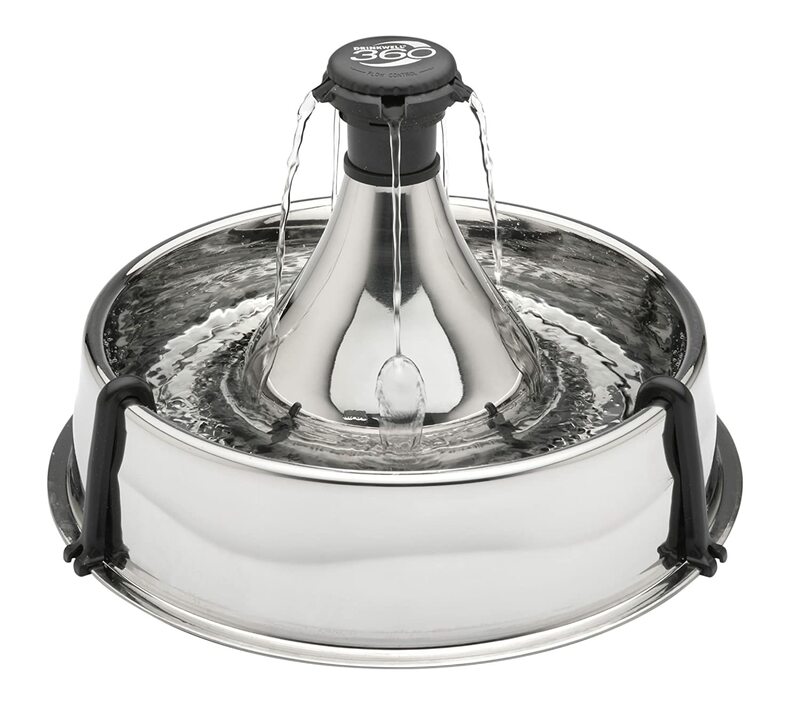 Water dispensers, on the other hand, also have a reservoir but they use gravity, not a pump, to simply fill a dish or bowl without circulating or moving the water. Occasionally a water dispenser shows up in search results for water fountains, so make sure that if you’re shopping for a fountain you don’t get confused. How tall is is the accessible drinking height? Many cat water fountains offer several drinking heights in one fountain. 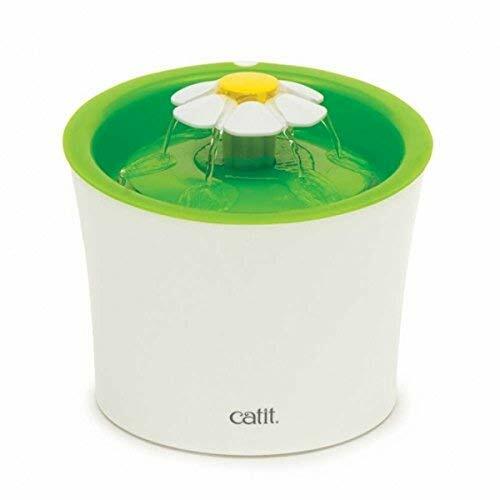 For example, the Catit Flower Fountain is taller on one side than the other, while the Cat Mate Pet Fountain offers three drinking heights in one compact design. How much water does it hold? 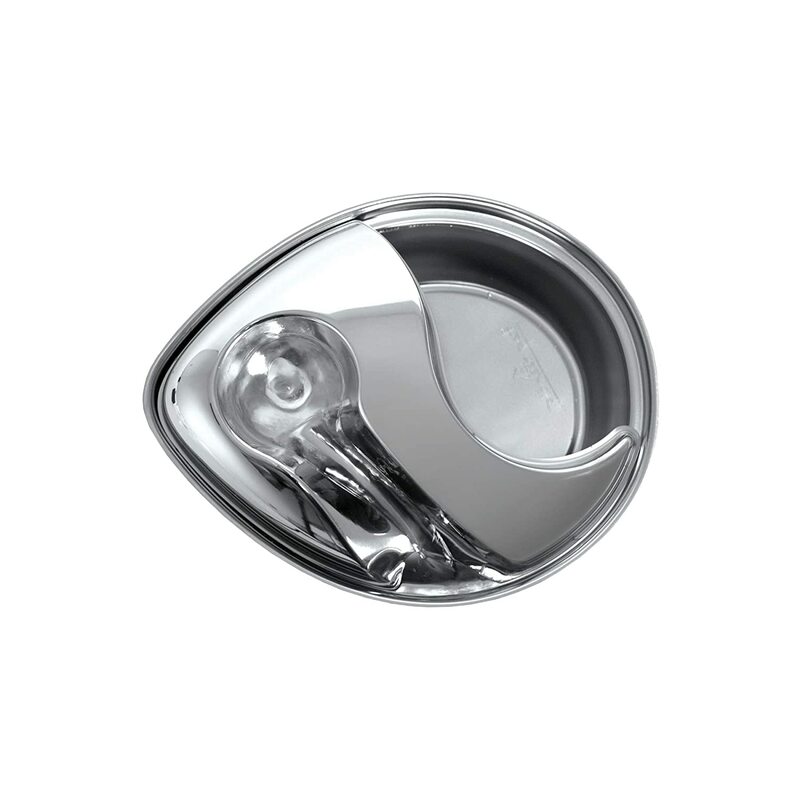 This, of course, when taken into account with how many cats or other pets will be drinking from it, will have a direct bearing on how often you have to refill the water supply. How easy is it to clean? 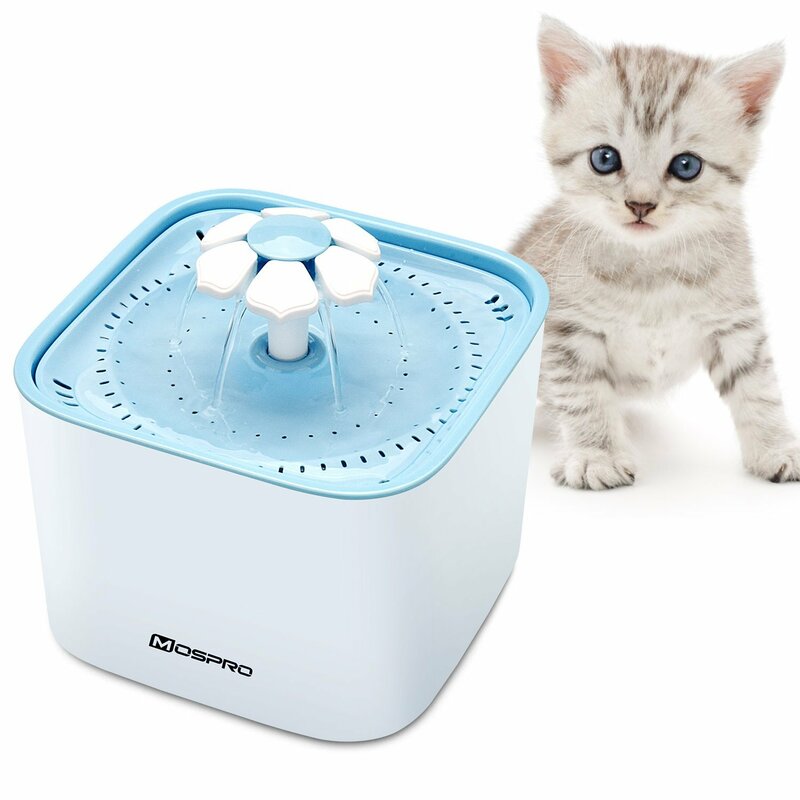 Many cat water fountains can be easily taken apart so the bowl and/or reservoir can be easily cleaned, and many of them are even dishwasher safe. This tabby, like many cats, likes to drink running water.